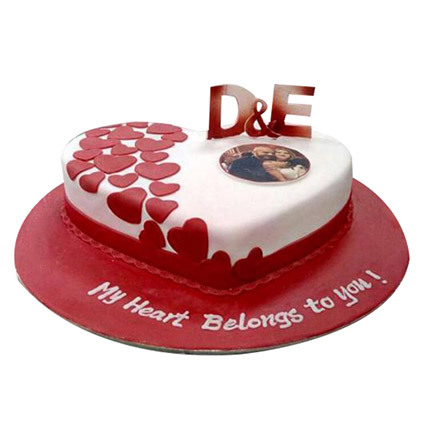 A heavenly and mesmerizing cake is ready here to add a lot of charm, glamor, and glitter to any of your happy occasion. The shining red and white heart shape is ready to enhance the love and romance in your life. Image size should be between 100 KB - 10 MB.